Discovering Japan, a walk along the Lake under the setting sun, waiting for the rope car to arrive. The warm from the sun and the breeze of the lake overwhelming in presence. 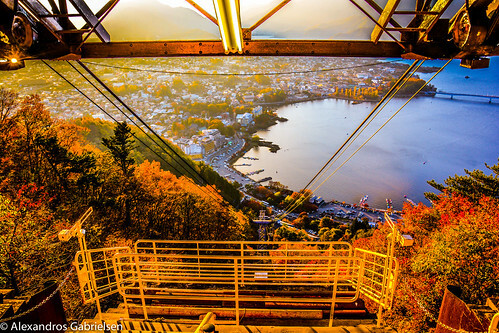 The picture is taken from Kachi Kachi Ropeway.